Here is a full list of historic cases of semi-presidentialism. The entry date is the date when a semi-presidential constitution was formally adopted. The exit date is the date when there was a change in the constitutional status. This may be a move from semi-presidentialism to parliamentarism (e.g. Moldova). More often than not, though, the exit date corresponds to a coup and the suspension of the constitution (e.g. Burkina Faso in December 1980). If the old constitution is subsequently restored, I record a new period dating from the time when the old constitution was reactivated (e.g. Mauritania). Note also that some of these countries are currently semi-presidential, having returned to semi-presidentialism at a later date. This entry was posted in Semi-presidentialism and tagged semi-presidentialism on August 25, 2014 by Robert Elgie. This post records periods of cohabitation in countries with semi-presidential constitutions. Cohabitation is defined as the situation where the president and prime minister are from different parties and where the president’s party is not represented in the cabinet. Presidents classed as non-party cannot generate any periods of cohabitation. This entry was posted in Semi-presidentialism and tagged Cohabitation, semi-presidentialism on August 20, 2014 by Robert Elgie. This is the consolidated version of three guest posts by Professor John Carey. The posts are based on the keynote address that he gave to the Conference on Coalitional Presidentialism at St. Anthony’s College, Oxford, on May 2, 2014. Does constitutional regime type affect outcomes we care about? One of the most influential answers to that question was offered by Juan Linz about 25 years ago. At the time, most of Latin America was emerging from long stretches of military authoritarian rule. Politicians, activists, and academics were asking whether anything could be done to minimize the risk of repeating the region’s longstanding pattern of democratic breakdowns. I first encountered Linz’s paper on the Perils of Presidentialism, which was circulating in samizdat form in the late 1980s, just as I entered grad school. I would summarize Linz’s central claim as, “If Latin America had had parliamentarism instead of presidentialism in the mid-20th Century, it might have avoided Pinochet’s regime in Chile, 20 years of military dictatorship in Brazil, Argentina’s Dirty War, Operation Condor (which pioneered the practice of ‘extraordinary rendition’ before that term was ever dreamed up), and a host of other catastrophes.” As a new grad student, this struck me as an incredibly exciting proposition – that if we could just get the formal rules right, we could avoid incalculable injustice, violence, and suffering. What more important challenge could political science take on than to figure out whether this was actually right? Could we figure out how to engineer constitutions to minimize the risk, even on the margin, of democratic breakdowns, and the parade of horrors that can follow? With the wave of democratizations cresting in Latin America, and building in sub-Saharan Africa and throughout Central and Eastern Europe and Central Asia, it was a no-brainer that the survival of democratic regimes mattered. The effects of non-democracy in all these contexts were so apparent. And Linz made a compelling case that presidentialism undermined democracy. What’s more, of all the ways presidentialism did this, in Linz’s account, stifling the development of strong parties and stable party coalitions was the most important. Democracy didn’t endure on a national level without competition among viable political parties, and the central pillar of Linz’s critique was that parliamentarism fostered strong parties and collective accountability whereas presidentialism undermined them. Linz’s concern, amplified by Mainwaring’s seminal article on the “difficult combination” of presidentialism and multi-partism, had a huge impact on how a whole generation of scholars studied presidentialism. An avalanche of research followed into whether and how presidentialism affects democratic outcomes, much of which directly challenged Linz’s claims. 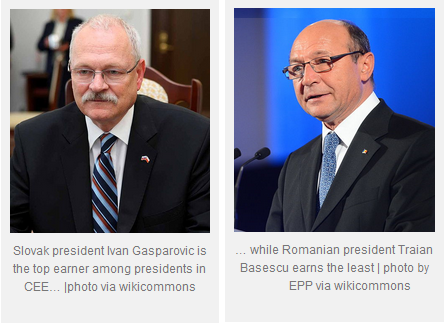 What are the central post-Linzian lessons on presidentialism? One is that, Linzian skepticism notwithstanding, presidentialism, and its hybrid cousins that combine popularly elected presidents with some measure of cabinet dependence on parliament, have multiplied far more rapidly than pure parliamentarism in recent decades, to the point where there are now about equal numbers of regimes in each category. The research also showed that presidentialism is not necessarily a recipe for democratic regime collapse, or for the impossibility of stable party coalitions in support of presidents. Along similar lines was the evidence that strong formal authorities for presidents don’t necessarily doom presidential democracy. They might even provide tools for the maintenance of coalition-based presidentialism that is distinct from a Madisonian vision based on conflict between the elected branches. A lot of the most influential scholarship came out of Brazil, a country that commands our attention for a variety of reasons. One is, of course, is that Brazil is a giant. Another is that it produced a remarkable cohort of scholars, both Brazilian and others, who have focused on Brazilian presidentialism. But as important as any of this is the drama of the story they had to tell. 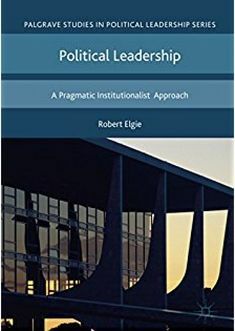 Remember that Brazil was often singled out in the early presidentialism scholarship as an institutional basket case – fragmented, personalistic, clientelistic parties, untrammeled presidential powers. Twenty years ago, it was seen as the perfect presidential storm, yet it transformed into everyone’s darling. For classic liberals, the former dependency theorist who used the presidency to deliver economic stabilization without ignoring poverty was irresistible. For the left, successive Worker’s Party presidents who extended social welfare programs and oversaw measurable reductions in economic inequality looked even better. But if the evolving accounts of Brazilian presidentialism presented challenges to Linz, the post-Linzian comparative scholarship also provided support for a number of his original claims. Presidential democracies do operate differently from parliamentary ones on a number of counts. Legislative parties and coalitions exhibit lower voting unity under presidentialism than under parliamentarism. Presidents have lower “batting averages” than do parliamentary executives in getting their policy initiatives approved as law. There are more broken campaign promises and less ‘mandate accountability’ under presidentialism than under parliamentarism. So is it possible to size up the progress in the study of presidentialism? What approaches have provided the most traction? I think the advances beyond Linz followed from two key shifts in how scholars of comparative institutions approached the study of presidential systems, but that each of those shifts has brought its own set of limitations and challenges. Lurking behind the whole question of whether and how regime type might matter to democratic performance was a question Adam Przeworski posed in a paper about ten years ago called “Is the science of comparative politics possible?” The point – not really new then, and even more familiar by now – was that institutions are the products of context, and the array of factors encompassed by the word “context” here inevitably shapes the outcomes we care about – stability, democracy, prosperity, equality, justice, security, public goods provision, etc. Przeworski’s concern, of course, just foreshadowed the “identificationist” wave that was about to wash over our discipline. We have to ask: Can presidentialism research respond to changing expectations and standards for inference that the identificationists demand? I’m not asking this question in a kind of rhetorical build-up to a big reveal. I honestly cannot think of a research agenda in political science that presents bigger challenges for identification and inference than the study of how constitutional regime type at the national level affects the quality of democracy. I don’t have a solution, but it would require an ostrich-like capacity for denial not to acknowledge the problem in a review of this sort. The other key post-Linzian shift was the influence in research on comparative presidentialism of theories of legislative politics initially developed in studies of parliamentary democracy and of the US Congress. The list of names here is long – and includes Tsebelis, Laver, Shepsle, Schofield, Strom, Huber, Krehbiel, Cox, McCubbins, Feddersen, Diermeier, and others. I won’t risk tedium by rehearsing the long list of studies that have applied or adapted their theories by testing them against evidence from presidential regimes. What I want to do, instead, is to raise a warning flag that we have, I think, occasionally prioritized the theories as objects of our research over more basic questions about the quality of democracy – the sort of questions Linz would not have lost sight of. In the last decade, I have reviewed more manuscripts than I care to recall that stated their central goals as “filling gaps” in the empirical examination of existing theories. Let me suggest that when we find ourselves describing our motivation this way, it’s time for a little introspection. I’m not without blame here. I’ve spent plenty of time deep in the weeds of legislative roll calls or district-level election returns, parsing data for evidence to support hypotheses the fascination of which escapes most of my colleagues – and reviewers – never mind my parents, siblings, or children. I’m not saying all of our research needs to reveal how to prevent the next Dirty War. Shedding light on the factors that tip the balance of influence between executives and legislatures in one direction or another is a time-honored vocation. But Madison and Montesquieu and Locke all made the case that the balance of powers mattered because it affected the likelihood of tyranny. They persuaded their audiences that the separation of powers could affect outcomes that everyone recognized as important. And remember that, for Linz, too, tyranny was front and center. My worry is that, for all the theoretical advances in the study of presidentialism since Linz, we have too often lost sight of why we, or our audience, should care. In an article published just recently in Democratization, Paul Chaisty, Nic Cheeseman, and Timothy Power emphasized why we should care, even if we now know (or are reasonably confident) that presidentialism does not necessarily pave a straight road to tyranny. They write: “Twenty years of research have shown presidentialism to be remarkably durable, and in particular its multiparty variant has vastly over-performed relative to early predictions … [However, the authors go on to wonder whether] … The very same presidential tools that enhance governability may also undermine accountability.” I agree that the governability—accountability trade-off is what scholars of presidentialism should be studying, and I want to highlight some recent studies of presidentialism that imagine new ways to think about accountability – ways that I think would be relatively easy to explain to your aunt at Thanksgiving, or if you got interviewed by Terry Gross or Melvyn Bragg. In an article forthcoming in Comparative Political Studies, “The Successor Factor: Electoral Accountability in Presidential Democracies,” Ignacio de Ferrari builds on the tradition (from Powell, to Stokes, to Samuels & Hellwig) of measuring accountability as the ability of voters to reward or punish an incumbent, governing party for economic performance. De Ferrari codes presidential candidates from governing parties as either incumbents (who were eligible to run again), successors (candidates anointed by outgoing incumbents), or non-successors (unconnected to incumbent presidents). De Ferrari shows that the link between economic performance and the incumbent party candidate’s electoral fate varies systematically with incumbent/successor/non-successor status. This isn’t shocking – indeed, it would be pretty surprising if this were not the case. But then consider that de Ferrari finds no relationship between the economic performance of the incumbent government and the status of the candidates the president’s party nominated. That is, economically successful presidents were no more likely than unsuccessful ones to be able to anoint their successors. These are puzzles, and they suggest that the factors that determine whether we are in the world of high or low accountability (at least as measured by electoral rewards for economic growth) are opaque in many presidential systems. Consider also a couple of papers by Ryan Carlin and Shane Singh, also based on data from Latin America. In one, “Executive Power and Economic Accountability,” the authors show that the stronger the constitutional and partisan powers of the president in a given country, the stronger is the relationship between a survey respondent’s evaluation of the economy and her evaluation of the president. Again, not surprising – maybe even reassuring – this suggests that citizens, in the aggregate, adjust their expectations for presidential performance according to the authorities their president wields. Yet in an article forthcoming in Political Research Quarterly, “Happy Medium, Happy Citizens: Presidential Power and Democratic Regime Support,” Singh and Carlin show that respondents’ satisfaction with the performance of democracy in their country is non-monotonically connected to those same formal authorities. The conditions that foster the tightest possible bond between economic performance and presidential approval are not the same ones that foster the greatest satisfaction with democracy more generally. So accountability in presidential democracies is not an easy animal to track and hunt. What I’m suggesting is close attention to how we assess accountability, about what citizens want from their democracies, and what those democracies ought to deliver. If GDP growth is our indicator of good economic stewardship, then we should fear for accountability when a political system does not appear to reward growth. But maybe citizen satisfaction, measured in surveys, is a more appropriate measure of good performance. Or some measure of agreement between public support for policies and their rate of adoption? Or something else altogether? n a spasm of curiosity, I collected data on regime type (presidential, parliamentary, or semi-presidential hybrid) from Robert Elgie’s website for 131 countries with populations above 1,000,000. Of these 41 are parliamentary, 43 are presidential, and 47 are hybrids. 97 of the 131 (34, 33, and 30, respectively) had Polity scores of 5 or higher in the most recent year. Then I collected data from the World Bank, Polity IV, the United Nations, and Transparency International on the most recent annual measures on a wide range of regime performance and policy outputs that I think any sentient observer ought to care about: levels of democracy and stability, poverty, economic inequality, taxation, corruption, physical insecurity, and the rule of law. A lot of the performance indicators I’m going to look at here are correlated with national wealth, the distribution of which is skewed and the effects of which are likely subject to diminishing returns. So the graphs that follow will be scatterplots, and some fitted plots, of various outcomes we should care about against a log transformation of per capita wealth. Presidential regimes are marked by red Xs, parliamentary regimes by green dots, and hybrid regimes by blue triangles. We can look quickly at the scatters and size up whether one regime type or another is over-performing or under-performing, relative to others at the same level of wealth. Looking first at democracy levels, as measured by Polity IV. Wealthier countries are more democratic, but there’s no clear pattern of any of our three regime types systematically over- or under-performing. So – so far, my crude, cross-sectional snapshots are consistent with the more systematic evidence presented by Cheibub and others that presidentialism, per se, is not inconsistent with democratic stability. But when we look at some further indicators of regime performance – again, with my crude measures – the picture for presidentialism is less encouraging. Taxation is the cornerstone of government capacity to deliver public goods. We know that wealthier states tend to tax at higher rates, and of course parliamentary regimes are better represented at that end of the scale. Nevertheless, if we look at the distribution of regimes above and below the best linear fit line, parliamentary regimes are about twice as likely to be over-performers than under-performers, and for presidential regimes, the reverse is true. In this plot, the green line shows the linear fit for the relationship between per capita wealth and taxation for presidential regimes, and the blue line shows parliamentary and hybrids pooled, and we can see that the positive relationship is driven by the latter set. We might ask whether the distinct patterns for presidential and other regimes are driven by the inclusion of non-democratic cases, but dropping all regimes with Polity scores below 5 only strengthens it. Wealthier presidential democracies actually tax marginally less as a share of GDP than do poorer ones; the reverse is true among parliamentary and hybrid regimes. Maybe the tax share of GDP is not an ideal measure of government accountability. Let’s consider some other things that are affected by government policies in pursuit of public welfare. The next graph shows Gini indices of economic inequality plotted against per capita wealth. There’s substantial dispersion but, on the whole, wealthier societies are slightly less unequal than poorer ones. 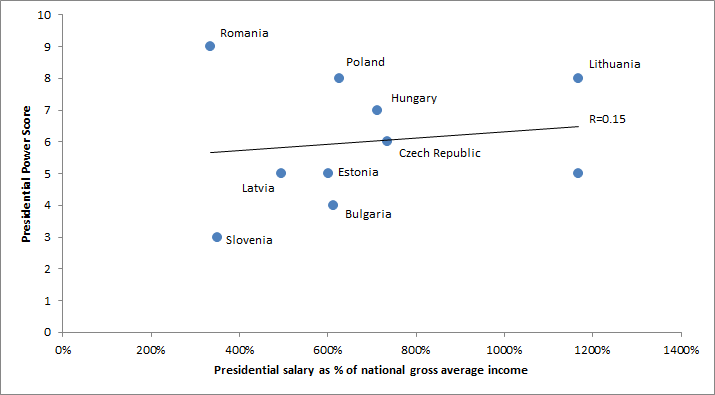 But again, look at the relative distribution of presidential, as opposed to parliamentary regimes above and below the best fit line. Or easier, here are the linear fits for presidential regimes and for the pooled set of parliamentary and hybrids. 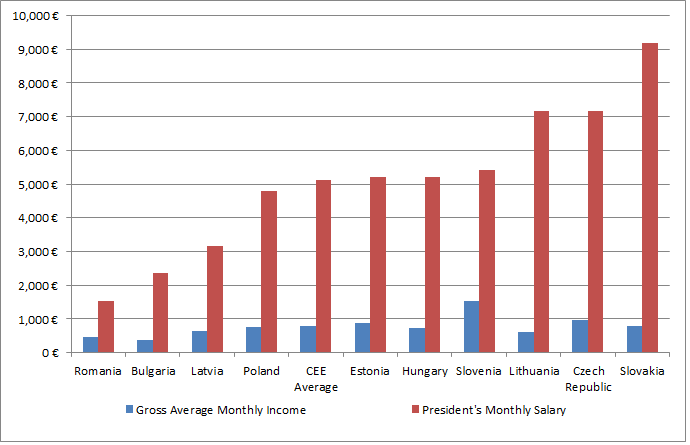 Economic inequality rises with wealth among presidential regimes whereas it declines in the others. In an article entitled “Testing Theories of American Politics: Elites, Interest Groups, and Average Citizens,” forthcoming in Perspective on Politics, but already lighting up the wonkosphre, Gilens and Page make the case that there is massive elite bias in influence over public policy outcomes in the United States. This graph raises the question: Does the Gilens and Page result generalize beyond the United States to other presidential systems? If we look at poverty rather than economic inequality, we don’t get as dramatic a difference between regime types – richer countries tend to have lower poverty rates across the categories – but presidential regimes again under-perform on poverty mitigation. There is a discernible difference between presidential regimes and others, with poverty rates about 10% higher across the range of income levels. The pattern here is a little less stark, but the fitted plots suggest that, as countries increase in per capita wealth, the rate of improvement on corruption is flatter among presidential regimes than among parliamentary systems and hybrids. We get a similar kind of pattern if we consider another key government function – guaranteeing individual physical security. The data here show homicide rates from the comprehensive United Nations report released last month. Again, there’s a general pattern of greater security in richer countries, but the rate of improvement with wealth is flatter among presidential regimes than the others. Finally, we can look at the less concrete, but more catholic conceptions of Rule of Law, or of Accountability, compiled by the World Bank as Governance Indicators. These are based on a combination of survey responses and expert assessments. On both their Rule of Law index, and their Accountability index, we see the same familiar pattern, with improvement across wealth levels in presidential regimes lagging that in parliamentarism and the hybrids. I want to emphasize that these scatterplots are just suggestive. 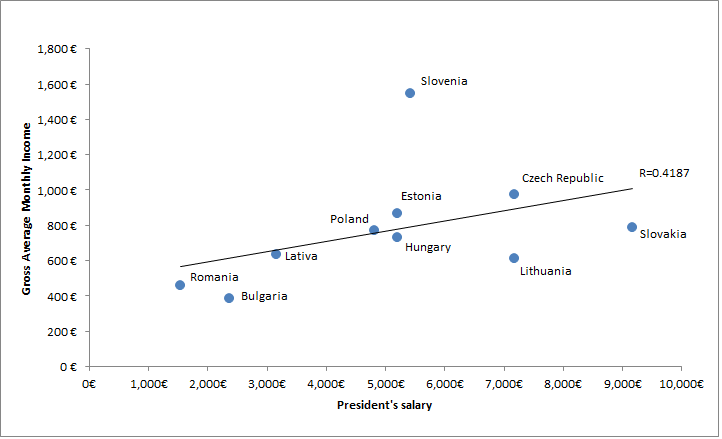 I collected the data because, as I thought about what we’ve learned about presidentialism since Linz, I went back to Linz’s essay, and then reviewed much of the literature on presidentialism that followed. In part, I found myself conducting the inevitable scorekeeping exercise. Linz appears to have been more right about some things than others. (By the way, when I’m done playing, I’d be happy to have a record even close to his.) But when you read Linz, why he cared about regime type is never in doubt. So much outstanding research has followed Linz. My words of encouragement as we continue this work is that our scholarship should be as clear as Linz’s was with regard to why we care about the phenomena we study. This entry was posted in Presidentialism and parliamentarism and tagged parliamentarism, presidentialism on August 15, 2014 by Robert Elgie. The terms president-parliamentarism and premier-presidentialism were first coined by Matthew Shugart and John Carey in Presidents and Assemblies. Constitutional Design and Electoral Dynamics (Cambridge: Cambridge University Press, 1992). President-parliamentarism is a form of semi-presidentialism where the prime minister and cabinet are collectively responsible to both the legislature and the president. Premier-presidentialism is a form of semi-presidentialism where the prime minister and cabinet are collectively responsible solely to the legislature. There are countries that are no longer semi-presidential or which are currently semi-presidential but which have changed their form of semi-presidentialism over time. These cases are captured in the following lists. This entry was posted in Semi-presidentialism and tagged semi-presidentialism on August 12, 2014 by Robert Elgie. In this post, I discuss the role of political institutions in democratic consolidation. Regarding the forms of democratic government, I like to think that there are essentially two: those with a separation of powers and those that require assembly confidence. The first are typical presidential democracies, systems with constitutions that prescribe a fixed term in office for both a popularly and independently elected president and a congress. The second are the parliamentary and semi-presidential democracies, in which the government must be at least tolerated by a parliamentary majority in order to exist. I will therefore focus on the effect of political institutions, whether parliamentary or presidential, on democratic consolidation. I start by briefly reviewing the earlier debate on the relationship between democratic form of government and consolidation. I then discuss what I see as two challenges we face today to advance the study of democratic consolidation: its proper definition and conceptualization, an to understand how the phenomena of democratic breakdown and consolidation changed since we first started to think about them. I conclude with a few remarks on the kind of advice political scientists can give regarding the best constitutional form for the consolidation of democracy. The impact of separation of powers or assembly confidence on democratic consolidation is no longer at the center of the democratization research agenda. Probably everyone is familiar with the argument, first developed by Juan Linz, according to which presidential institutions are likely to lead to crises that may ultimately cause the breakdown of democracies. [i] Although Linz offered more than one reason for the observed negative correlation between presidentialism and democracy, most important, in my view, was his argument about incentives for coalition formation. This argument was also the most fully developed in subsequent studies. His reasoning was as follows: presidential institutions fail to generate incentives for cooperation among individual politicians, among parties and between the legislative and executive powers. Because presidentialism provides no incentives for inter-branch cooperation, presidential democracies are characterized by frequent minority governments as well as conflict and deadlocks between the government and the legislature. Because presidential regimes lack a constitutional principle that can be invoked to resolve conflicts between the executive and the legislature, such as the vote of no confidence in parliamentary democracies, minority presidents and deadlock provide incentives for actors to search for extra-constitutional means of resolving differences. As a consequence, presidential democracies become more prone to instability and eventual death. Thus, according to Linz, presidential institutions are simply not conducive to governments capable of handling the explosive issues that are central to the new democracies in the developing world. These issues make governing difficult under any circumstances. Governing becomes almost impossible when the institutional setup is likely to generate governments with weak legislative support as well as parties and politicians whose dominant strategy is to act independently from one another. Given the lack of constitutional solutions to the crises that are almost inevitable in these countries, political actors have no choice but to appeal to those with the means to resolve their differences, even if at the price of democracy itself. Here is not the place for rehashing the debate around these ideas. Let me simply say that Juan Linz’s view of the negative impact of presidentialism on democratization was critically examined along two main lines. The first focused on the fact that parliamentary democracies were not altogether immune to the institutional crises that were supposed to characterize presidential ones. The second sought to show that the sequence of events that would lead to the breakdown of presidential democracies did not materialize with the frequency implied by the argument. Consequently, if the relationship between presidentialism and democratic breakdown is causal, the mechanism might not be the one postulated by Linz. Of course, the discussion around the “perils of presidentialism” did not represent the last word in the debate about the impact of forms of government on democratic consolidation. This question still generates considerable interest, as it should. The correlation between presidential institutions and democratic breakdown is still a reality and hence the intuitive arguments that have been made connecting the two still resonate. But to move forward it may be helpful to address some unresolved issues while recognizing how the political reality has changed since Linz’s theory was formulated. Even though not a long time has passed since that moment, it is fair to say that the features of many of the cases we are confronted with today are quite different from the ones confronted by Linz. The original argument about the detrimental effects of presidentialism for democratic consolidation must be understood in the context of the virtual disappearance of democracy from Latin America in the 1960s and 1970s. Between 1960 and 1975, almost every Latin American country experienced a democratic breakdown. Most of these democracies collapsed in the hands of the military, who inaugurated what O’Donnell called a new type of dictatorship – the bureaucratic-authoritarian regime. As a matter of fact, during the Cold War, the vast majority of democracies collapsed as the result of a military coup, in a pattern that, at least superficially, corroborated Linz’s view of a conflict between a fixed-term executive who did not have the support of a majority in congress. Thus, if it is true that there is a correlation between presidentialism and the recent failures of democratic consolidation (something that has not been established yet, as far as I know), and if it is true that these episodes of failure rarely if at all involve a military coup, we need to formulate new explanatory hypotheses. What is it about presidentialism that may lead to the entrenchment of incumbents in power? Conversely, which characteristics of parliamentary institutions might prevent such entrenchment? One thing is sure, namely, that the Linzian approach to these questions will not take us far. The reason is that this approach is focused on the problem of legislative support for the executive, that is, on how parliamentarism virtually assures that such support is present, and (multiparty) presidentialism virtually assures that it will be lacking. However, some of the contemporary cases suggest the opposite: democracy may be “saved” by the fact that the government does not have strong support in the legislature and it may be threatened in situations when the executive enjoys sufficient backing of the legislature to shut off the opposition. Take a few recent examples. In Slovakia, Vladimír Mečiar was hampered in his authoritarian ambitions by repeated defections from his coalition, which eventually resulted in a vote of no-confidence in 1994 and the failure to form governments in 1998. This happened in spite of Mečiar’s control of a plurality of legislative seats. In Hungary, on the other hand, the overwhelming legislative support for Prime Minister Victor Orbán allowed him and his party to introduce changes that are widely seen as non-democratic. Similarly, as Sebastian Saiegh shows using an example of the fall of Bolivian president Sánchez Lozada in 2003,[iv] the danger for democratic consolidation posed by an unconstitutional transfer of power should be attributed to situations which are in their nature opposite to deadlocks. As Saiegh suggests, in some circumstances the government may actually govern too much. Consequently, what threatens democracy is not so much that there is a deadlock between a constitutionally irremovable president and legislature but the fact that the two are aligned and can change the status quo in a direction that may suit their interests but not those of democracy. Deadlocks and minority governments may be precisely what save democracy from being suffocated by aspiring autocrats. If this conclusion reminds the reader of Madison and his view about separation of powers, it is not a mere coincidence. Thus, the correlation between presidential institutions and (failure of) democratic consolidation in the contemporary world, if it exists at all, should not be considered intuitive and explainable in terms of hypotheses generated from a framework that sees the lack of legislative support for presidents as the crux of the problem. That framework was generated with a specific set of historical examples in mind, and it became popular in the context of the debt crisis in Latin America and the concerns about the ability of governments in the region to implement structural policies that were at the time considered necessary. While implementation of these policies required the preference alignment of the executive and the legislature, all countries operated under a constitution that provided no such guarantee. By contrast with presidentialism, assembly confidence was seeing as the institutional mechanism that assured support of legislative majority to the executive and parliamentarism as the form of government that would prevent the failure of the new democracies in Latin America and Eastern Europe. We know where this story went: few democracies, parliamentary or presidential, failed in the way that was then expected. Perhaps this is the fact that requires explanation. What kind of constitution is best suited to help consolidate democracy? Unfortunately, in my view, some scholars believe that there is a clear answer to this question and are not shy to advocate their views. For instance, in an opinion piece published in July 2013, Bruce Ackerman, a professor of Law and Political Science at Yale University, stated that the failure of the military rulers who had just taken power in Egypt to replace presidentialism with “a European-style parliamentary system,” “virtually guarantees a repetition of the tragic events of the past year.”[v] Furthermore, as he argues counterfactually, the adoption of a parliamentary constitution after Mubarak’s departure “could well have avoided the current upheaval and bloodshed in the first place.” The reason, according to him, is that “the presidency is a winner-take-all office,” which may be suitable for a country such as the United States, “where well-organized parties contend for the prize,” but “is a recipe for tyranny in places like Egypt, where Islamists have powerful organizational advantages in delivering the vote.” Although Ackerman stands out in the forcefulness and clarity with which he defends a constitutional overhaul in countries that adopt presidentialism, he certainly does not hold this opinion alone. Yet, we may ask: is this view warranted? This kind of advice is based on generic and one-sided arguments, which are supported by scant historical and statistical evidence: isolated regime crises (Chile in 1973 is favorite, with Egypt beginning to trail behind) and references to the correlation between presidentialism and regime breakdown, as if correlation was evidence of causation. (But we know better than this!). 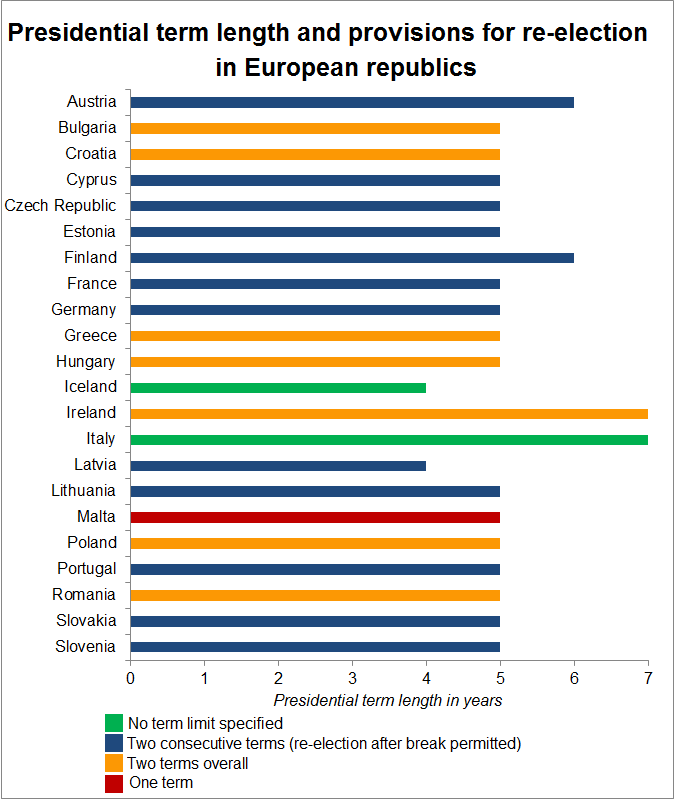 Moreover, parliamentarism and presidentialism are very broad constitutional frameworks: as recent research has demonstrated, they can be configured in an infinite number of ways; they interact with other, small and large, institutional features of the political system; and, of course, they interact with non-institutional factors, unique to the country where they are being adopted. This last point is particularly relevant for Egypt. It is possible that Ackeman is right and a parliamentary constitution may do the trick in Egypt and allow for the peaceful processing of conflicts between Islamists and secularists. On the other hand, we have good reasons to believe that, given the nature of its military, the main problem in Egypt at this point is far from being institutional; perhaps given the presence of such an actor, any kind of constitutional arrangement would have failed. Thus, to reduce parliamentarism and presidentialism to one essential feature, to look at specific situations from the lens provided by this essential feature, and offer constitutional advice on the basis of this exercise requires courage, the courage of fools who believe that they have successfully found the solution to the problem that has eluded everyone else. I thus end with a note which suggests more humbleness than confidence in our ability to provide positive advice of the sort given by Ackerman. The vast majority of studies have failed to establish convincingly that there exists a causal relationship between the form of government and democracy. Consequently, unless in some specific case there is a broad consensus across the political spectrum about the need for change, it is not certain that the benefit of adopting a new type of constitution will outweigh the costs of implementing it. [i] Juan J. Linz, “Presidential or Parliamentary Democracy: Does It Make a Difference?” in Juan J. Linz and Arturo Valenzuela, eds., The Failure of Presidential Democracy: The Case of Latin America, edited by (Baltimore: Johns Hopkins University Press, 1994). [ii] Adam Przeworski, Michael E. Alvarez, José Antonio Cheibub, and Fernando Limongi, Democracy and Development: Political Institutions and Well-Being in the World, 1950-1990 (Cambridge: Cambridge University Press, 2000). [iii] The one that is not violated is “ex post certainty,” namely the assurance that whoever wins the election will take office. Note that the “alternation” rule introduced by Przeworski et al. to operationalize the three conditions of democracy speaks directly to the problems related to the measurement of incumbent-caused subversions of democracy. [iv], Sebastian Saiegh, Ruling by Statute: How Uncertainty and Vote Buying Shape Lawmaking (Cambridge: Cambridge University Press, 2011). [v] Bruce Ackerman, “To Save Egypt, Drop the Presidency,” New York Times, July 10, 2013. This entry was posted in Presidentialism and parliamentarism and tagged parliamentarism, presidentialism on August 8, 2014 by Robert Elgie. Vít Hloušek, et al., Presidents above Parties? Presidents in Central and Eastern Europe, their Formal Competencies and Informal Power, International Institute of Political Science, ISBN: 978-80-210-6687-8, 2013. Jacques Gerstlé and Raul Magni Berton (eds. ), 2012, La campagne présidentielle: L’observation des médias, des électeurs et des candidats, Paris: L’Harmattan/Pepper, 2014. Philip Abbott, Bad Presidents: Failure in the White House, London, Palgrave, 2013. Jocelyn Evans and Gilles Ivaldi, The 2012 French Presidential Elections: The Inevitable Alternation, London, Palgrave, 2014. Stephen Jones, Georgia: A political history since independence, London IB Tauris, 2013. Detlef Nolte and Almut Schilling-Vacaflor (eds. ), New Constitutionalism in Latin America: Promises and Practices, London: Ashgate. Valeria Palanza and Gisela Sin, ‘Veto Bargaining and the Legislative Process in Multiparty Presidential Systems’, Comparative Political Studies, 2014, 47(5), 766-792. Vlastimil Havlík, Milan Hrubes and Marek Pecina, ‘For Rule of Law, Political Plurality, and a Just Society: Use of the Legislative Veto by President Václav Havel’, East European Politics and Societies 2014 28(2): 440-460. Mikolaj Czesnik, ‘In the Shadow of Smolensk Catastrophe−−The 2010 Presidential Election in Poland’, East European Politics and Societies published online 14 May 2014 DOI: 10.1177/0888325414532492. Naomi Girardeau and Ian Taylor, ‘Unconstitutional Changes of Government in Africa: the Case of Madagascar’, Journal of African Union Studies (JoAUS) Vol 1, Issues 2 & 3, 2012, pp. 77-98. Natalie Mossa and Alasdair O’Hare ‘Staging democracy: Kenya’s televised presidential debates’, Journal of Eastern African Studies, Volume 8, Issue 1, 2014, pp. 78-92. Charles Kwarteng, ‘Swords into Ploughshares: The Judicial Challenge of Ghana’s 2012 Presidential Election Results’, The Round Table: The Commonwealth Journal of International Affairs, Volume 103, Issue 1, 2014, pp. 83-93. Zenonas Norkus, ‘Parliamentarism Versus Semi-Presidentialism in The Baltic States: The Causes and Consequences Of Differences in The Constitutional Frameworks’, Baltic Journal of Political Science. December 2013, No 2, pp. 7-28. Special issue of Revue internationale de politique compare, Pouvoirs présidentiels, gouvernance et milieux d’affaires dans les États post-soviétiques et africains, Vol. 20, 2013/3. Timothy J. Colton and Henry E. Hale, ‘Putin’s Uneasy Return and Hybrid Regime Stability: The 2012 Russian Election Studies Survey’, Problems of Post-Communism, vol. 61, no. 2, March–April 2014, pp. 3–22. Natalia Moen-Larsen, ‘Dear Mr President’. The blogosphere as arena for communication between people and power’, Communist and Post-Communist Studies 47 (2014) 27–37. Ismail Aydıngun and Aysegul Aydıngun, ‘Nation-State Building in Kyrgyzstan and Transition to the Parliamentary System’, Parliamentary Affairs (2014) 67, 391–414. Elizabeth A. Stein and Marisa Kellam ‘Programming Presidential Agendas: Partisan and Media Environments That Lead Presidents to Fight Crime and Corruption’, Political Communication, Volume 31, Issue 1, 2014, pp. 25-52. Jan Kudrna, ‘The Question Of Conducting Direct Elections Of The President In The Czech Republic (A Live Issue for Already 20 Years)’, Jurisprudencija, Jurisprudence, 2011, 18(4), pp. 1295–1321. Yujen Chou, ‘Constitutional Implication of the 2012 Elections in Taiwan’, International Journal of China Studies, Vol. 5, No. 1, April 2014, pp. 71-87. Dirk Kotzé, ‘The Government of National Unity as a Transitional Power- Sharing Institution in Madagascar’, Southern African Peace and Security Studies 2 (1), 9-22. Muhammad Rizwan, Muhammad Arshad, Muhammad Waqar, ‘Revitalization of Parliamentary Democracy in Pakistan under 18th Amendment’, IOSR Journal Of Humanities And Social Science (IOSR-JHSS) Volume 19, Issue 2, Ver. II (Feb. 2014), pp. 149-156. Steffen Ganghof, ‘Is the ‘Constitution of Equality’ Parliamentary, Presidential or Hybrid?’, Political Studies, early view, doi: 10.1111/1467-9248.12124. Manuel Guțan, ‘Romanian Semi-Presidentialism In Historical Context’, Romanian Journal Of Comparative Law, Volume 3 (issue 2) 2012, pp. 275-303. John Power, ‘Comparative governance and republicanism’, Australian Journal of Political Science, 49:1, 133-139, DOI: 10.1080/10361146.2013.875119. Oleg Zaznaev, ‘Understanding Semi-Presidentialism in Political Science: A Review of the Latest Debate’, World Applied Sciences Journal 30 (2): 195-198, 2014, available at: http://www.idosi.org/wasj/wasj30(2)14/12.pdf. Zenonas Norkus, ‘Parliamentarism Versus Semi-Presidentialism In The Baltic States: The Causes And Consequences Of Differences In The Constitutional Frameworks’, Baltic Journal Of Political Science, December 2013, No 2, pp. 7-28. Available at: http://www.vu.lt/leidyba/dokumentai/zurnalai/Baltic%20journal%20of%20political%20science/BJPS%202013%202/07-28.pdf. Special issue on the origins of presidentialism in Latin America and comparisons of presidentialism and parliamentarism in Latin American Review of Comparative Politics / Revista Latinoamericana de Politica Comparada; July 2013, Vol. 7. Shaun N. Williams-Wyche, ‘An empirical test of presidentialism’s effect on party competition’, Electoral Studies, Volume 33, March 2014, Pages 166–174. Chiou, F.-Y. and Rothenberg, L. S., The Elusive Search for Presidential Power. American Journal of Political Science. doi: 10.1111/ajps.12057, 2013. Cristina Manolache, ‘Post-Communist Romania: A Peculiar Case of Divided Government’, Studia Politica. Romanian Political Science Review, Issue no.3 /2013, pp. 427-439. Laura Tedesco and Rut Diamint, ‘Latin American Democracy. What to Do with the Leaders?’, Bulletin of Latin American Research, Volume 33, Issue 1, pages 31–45, January 2014. Mario D. Serrafero, ‘Argentina: Tres Reformas Institucionales Del Kirchnerismo’, Revista Aragonesa de Administración Pública, núm. 41-42, Zaragoza, 2013, pp. 449-468. Leiv Marsteintredet, Mariana Llanos, and Detlef Nolte, ‘Paraguay and The Politics of impeachment’, Journal of Democracy Volume 24, Number 4 October 2013, pp. 110-123. Vildan Iyigüngör, ‘Political System Discussions in Turkish Media’, Mediterranean Journal of Social Sciences, vol. 4, no. 10, October 2013, pp. 204-208. Yogita Sharma, ‘Imperatives for Transition from Parliamentary Democracy to Presidential Democracy in India’, Journal of Politics & Governance, Vol. 2, No. 1/2 June 2013, pp. 289-294. Henry Hale, ‘The Informal Politics of Formal Constitutions: Rethinking the Effects of ‘Presidentialism’ and ‘Parliamentarism in the Cases of Kyrgyzstan, Moldova, and Ukraine’, in Tom Ginsburg and Alberto Simpser (eds. ), Constitutions in Authoritarian Regimes, Cambridge: Cambridge University Press, 2014, pp. 218-244. Jennifer Gandhi, ‘The Role of Presidential Power in Authoritarian Elections’, in Tom Ginsburg and Alberto Simpser (eds. ), Constitutions in Authoritarian Regimes, Cambridge: Cambridge University Press, 2014, pp. 199-217. José Antonio Cheibub and Fernando Limongi, ‘The structure of legislative-executive relations: Asia in comparative perspective’, in Rosalind Dixon and Tom Ginsburg (eds. ), Comparative Constitutional Law in Asia, Cheltenham: Edward Elgar, pp. 123-162. Luca Mezzetti, ‘The Irish Form of Government: A Merely Apparent Semi- Presidentialism’, in Giuseppe Franco Ferrari and John O’Dowd, 75 Years of the Constitution of Ireland: An Irish-Italian Dialog, Dublin Clarus Press. Kari Palonen, ‘Parliamentarism as a European Type of Polity: Constructing the Presidentialism versus Parliamentarism Debate in Walter Bagehot’s English Constitution’, in Claudia Wiesner, Mieke Schmidt-Gleim (eds. ), The Meanings of Europe: Changes and Exchanges of a Contested Concept, Routledge, 2014. Electoral Studies, vol. 34, June 2014, presidential and/or legislative election reports on: Bulgaria, Burkina Faso, Chile, France, Georgia, Germany, Ghana, Israel, Italy, Lithuania, Mexico, Nicaragua, Romania, South Korea, and Tunisia. Clifton W. Sherrill, ‘Why Hassan Rouhani Won Iran’s 2013 Presidential Election’, Middle East Policy, Volume 21, Issue 2, pages 64–75, Summer 2014. In Electoral Studies (vol. 34, no. 1, 2014) there are election reports on presidential and/or parliamentary elections in the following countries with presidents: Bulgaria, Burkina Faso, Chile, Ecuador, France, Georgia, Germany, Ghana, Israel, Italy, Lithuania, Mexico, Nicaragua, Romania, South Korea, and Venezuela! 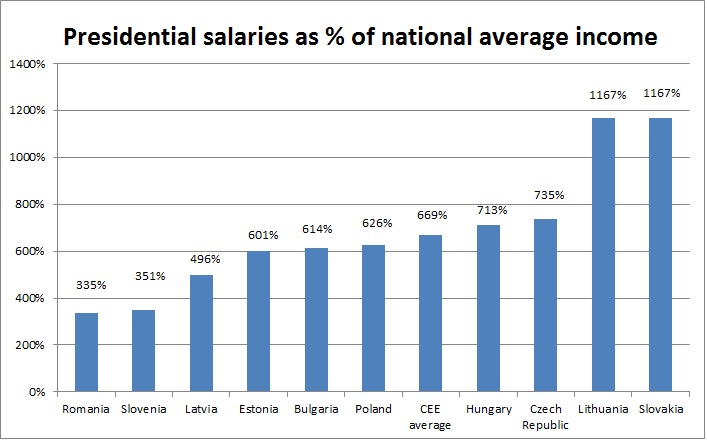 Marek Rybář, ‘The Czech Presidential Elections, January 2013: Towards a More Powerful Head of State?’, Electoral Studies [online first] doi: 10.1016/j.electstud.2014.02.004. Matthew Frear, ‘The parliamentary elections in Belarus, September 2012’, Electoral Studies, vol. 33, no.1, pp. 350-353. Peter Spáč, ‘The 2012 parliamentary elections in Slovakia’, Electoral Studies, vol. 33, no.1, pp. 343-346. Erik S. Herron, The parliamentary elections in Ukraine, October 2012’, Electoral Studies, vol. 33, no.1, pp. 353-356. Xabier Meilán, ‘Dominican Republic’s 2012 presidential election’, Electoral Studies, vol. 33, no.1, pp. 347-350. This entry was posted in New publications on August 7, 2014 by Robert Elgie.